Today you’ll be going back in time to become a fur trapper, or mountain man. You’ll face trackless wilderness, wild animals, and untold dangers. The ones who make it through alive…win. So begins our Time Travel Field Trip to 1829. It’s unlike any history lecture, textbook or presentation you’ve ever seen. Why? Will you be a free trapper or a company trapper? The opportunity cost of being a fur trapper or a company trapper. Where will you go to set your traps? How to use a map and considerations of competition for resources to make a wise decision. Why did people choose to become fur trappers? What was life really like as a fur trapper? 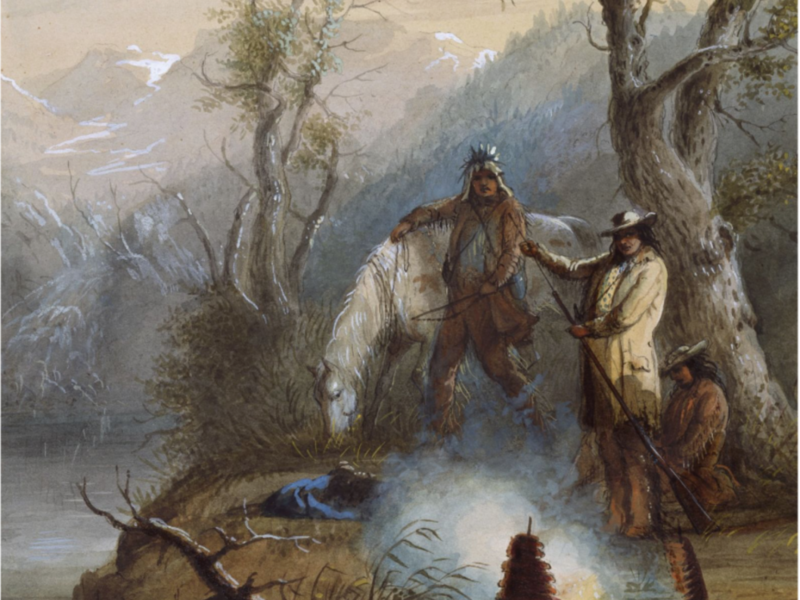 Paintings from Alfred Miller, who traveled with the fur companies, are included in the student materials and in the movies as a primary source. (DOK 1) Students can define choice and opportunity cost. (DOK 2-3) Students can analyze different choices and their opportunity costs. (PFL) (DOK 1-2) Students can identify risks that individuals face.